Below are two pieces of artwork created by students in Hollis Brookline High School art classes in January and February. Ava Akatyszewski- 12, Acrylic painting, June 18th. 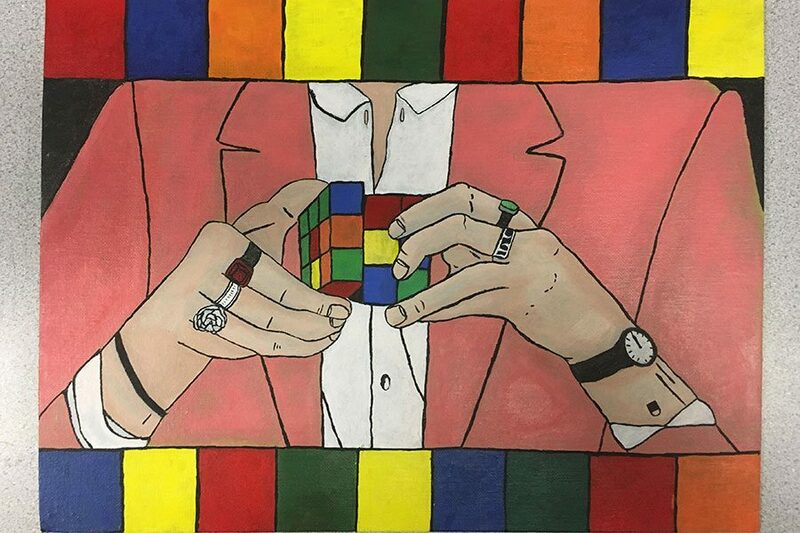 "The inspiration of the painting is from a Harry Styles concert I went to. This was the image they displayed before the show. It was one of the best days of my life."